Well, I have to admit this day came sooner than I thought it would. I can’t believe I am sitting here at my kitchen table blogging the first round of my own boy’s senior portraits. This post contains some of my favorites from when Harley and I took some time to shoot around the beach when we were there about two weeks ago. Even though the rest of the family has totally embraced our new life in Pickens, the reality is that a large part of Harley’s heart will always be in Myrtle Beach. So, it was important that we get some senior portraits of him at the beach. Last year, Harley discovered how much he loves guard. He is currently in his second winter guard season with Pickens High School and he was in the guard during this fall’s marching band season (AAA State Champions, baby)! So, of course, we had to get some flag shots on the beach. The nice thing about having a senior portrait photographer for a mom is that you can have multiple sessions all over the place, so stay tuned for more of Harley’s senior portraits. While I love senior portraits in general, there is something really special about being able to capture senior portraits for someone you’ve known for years. Ella is the older sister of Harley’s best friend from the beach and she was someone who was a regular in our lives back at the beach. Since we’ve moved, there have been a few groups that we have remained close to and Ella’s family is no exception. Even when we are apart for months at a time, it feels like no time has passed at all. It was an honor to be able to capture her senior portraits. We started out Mounted Ministries. Ella wanted to have some of her senior pictures shot in a field and my friend Cathy was gracious enough to let us borrow the fields at her place. Not only is the landscape and light at Mounted Ministries perfect, but it is an amazing place to spend some time with horses and get closer with God. If your child is looking for a great place to start riding, I suggest you give Cathy a call. One of the most vivid memories I have of Ella back at the beach was during a student take-over service at Seacoast Vineyard Church. I was just expecting the youth worship band to lead worship. I was blown away when Ella played piano and sang a beautiful worship song that she had written herself. I will never forget the entire congregation falling silent in awe. Ella is so very talented and her love for Christ is inspiring. We spent some time at my place using music that had been handed down in her family. 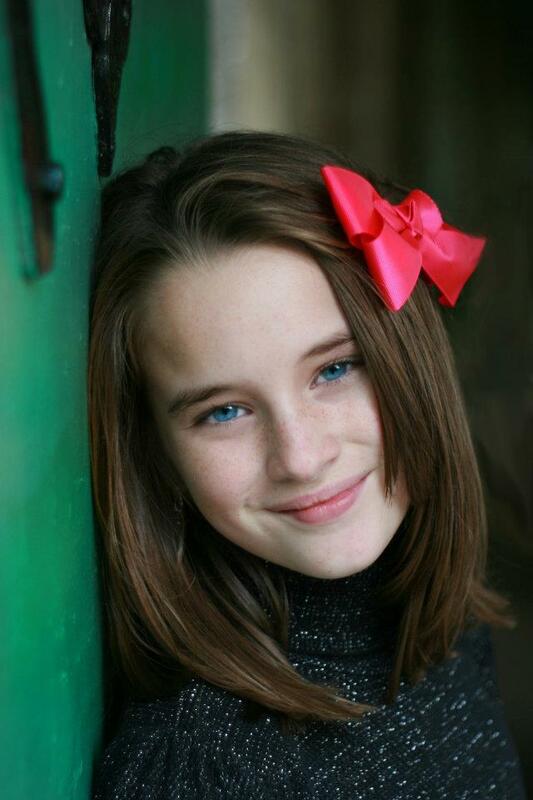 Ella wanted some portraits that captured her love for music, especially the piano and violin. Thankfully, a good friend of the family allowed us into her home to use her piano (thanks, Savannah!). The rose garden at Furman University in Greenville, SC was the perfect backdrop for some dance portraits en pointe. For our last stop, we hit downtown Greenville and wandered around a few block radius. Is is amazing what sort of unique backgrounds and textures you can find in a short walk! While I have shot in Greenville before, I have always focused on Falls Park, so it was a lot of fun for me to explore a few blocks off Main Street and find out what the city has to offer architecturally. Ella, I hope you enjoy your senior portraits as much as I enjoyed capturing them! Class of 2019, if you’re still looking for a senior portrait photographer in the Greenville or Pickens area of South Carolina, give me a call! I love it when two of my favorite things to photograph collide. I had an amazing time working with Darian and her family to capture her senior and dance portraits. Darian's mom, Darlene, first contacted me in late 2017 to work out a time for her daughter's Class of 2019 senior portraits. Since we would both be travelling down to Myrtle Beach for the shoot (Darian from Michigan and me from Pickens), we knew we needed to get started early to make this shoot happen. Myrtle Beach has been experiencing unprecidented rain lately, and as the shoot drew closer - I was a bit worried, but the skies cleared just in time for her shoot and remained absolutely perfect for the entire session! Yay! Darian started off at Salon and Spa 18 where Wing curled her hair into perfection. If you've never met Wing and are looking for a hair stylist in Myrtle Beach, look him up! He is wonderful! I cannot recommend him enough! Darian and her mom knew she wanted portraits that showcased her passion for the violin, but knew it would be hard to travel with hers. The wonderful people at Andy Owens were kind enough to lend her one of their personal violins. I love South Carolinians! Always willing to help! We started Darian's session at Market Common in Myrtle Beach. She's been coming to Market Common for years so this location was near and dear to her heart. We had a lot of fun taking portraits en pointe. I absolutely adore the arbor and landscaping of Market Common. It provides such a versatile location and Darian just rocked it! Darian dances with Karen's School of Dance in Highland, Michigan. She's been with the same studio since she first started dancing. How amazing is that? She's talented and passionate about dance and wants to use dance through the concept of motion therapy to help children with autism. What a beautiful way to continue to dance and help others! After wrapping up at Market Common, we headed over to the beach at Myrtle Beach State Park. One of my favorite thing about the park is the beautiful pier and undeveloped horizon. It's so nice to be on the beach and be surrounded by gorgeous dunes instead of tall hotels. After some killer shots in the waves in Darian's gorgeous high-low romper, we switched into dance for the remainder of the session. The flowy, bright costumes she selected really popped on the beach. I was amazed how high she could leap even after they soaked in water and became extremely heavy. This is one strong dancer athlete! Darian, I am so honored you chose me to capture your senior portraits and dance photographs. You are a bright, shining star and I know you are going to do amazing things! I am going to make a valiant effort to blog more of my sessions, starting with one of my favorite recent sessions: Ashley's senior portraits. I've had the pleasure of knowing Ashley since she was a sixth grader at Forestbrook Middle School. She was a phenomenal student, firecracker attorney on the mock trial team that I co-coached, student-body president, cheerleader, and competitive dancer. She does all this while still remaining humble, kind, and compassionate. This girl is one in million. Ashley and her mother drove up to Greenville, SC and met me at Falls Park in downtown Greenville. We shot around Reedy River Falls and many of the little nooks and crannies in Falls Park. Ashley will be attending Clemson University Honors College and you'll see her on the football field as a CU Rally Cat in the fall! About a month ago, I was contacted by Diamond, the owner of a local all natural pet food and dog toy company. Diamond was looking for a photographer to take some photographs of the two cutest puppies in the world, Fuji and Gobi. Needless to say, I was super happy to hang out with these two cute furballs! We met up at Hagood Mill in Pickens, SC for some fun shots. 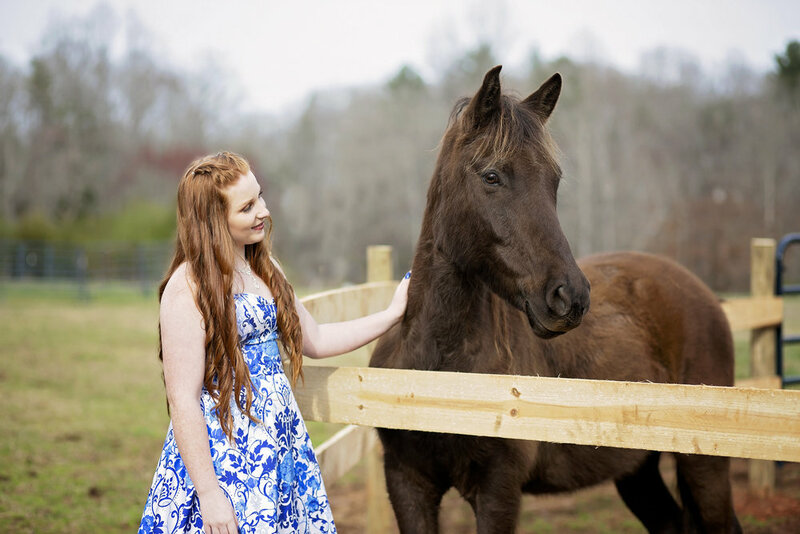 Using the simple beauty of a small horse farm for family, children, and senior portraits. 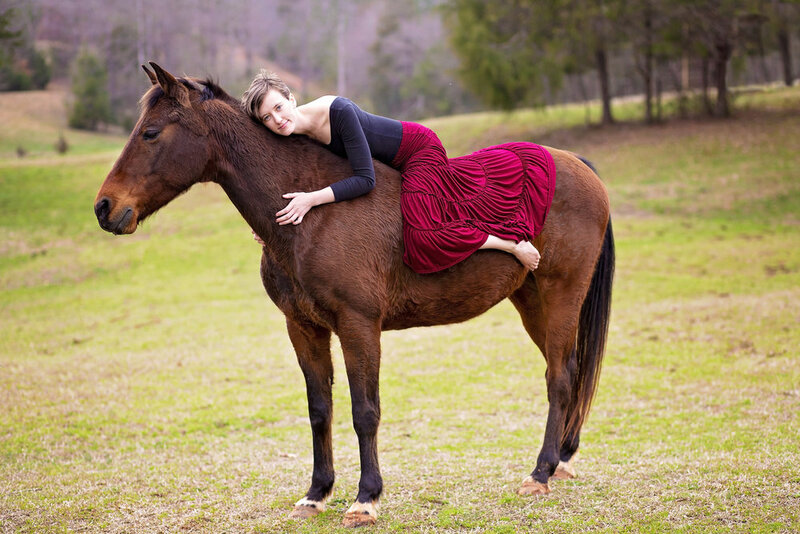 Introducing "Farm Charm" Sessions - photography sessions held on our small horse farm right outside of Pickens, SC. Farm Charm sessions are available to all clients: families, children, seniors, dancers, maternity, and engagement couples. Clients can use any part of our farm for their portraits that they'd like including our horses, pastures and fields, barns, or our small spring fed pond. When you book your Farm Charm session, we will discuss what your vision for your session is. Do you want pictures on the horses? With the horses grazing in the background? Picking fresh blackberries in our berry patch? On or around round bales of hay in the pasture? The possibilities are endless. Farm Charm sessions are available year round for $125. **Note that the 1948 tractor is no longer available for use - we sold it to purchase a more reliable tractor - while you’re welcome to use the new one - it' doesn’t have nearly the charm of the old one. Meet Cortni. Flute player, Pickens County native, future pediatric nurse, big sister, SC Marching Band State Champion, Pickens High School Class of 2017, and an absolute knock out. We met at Hagood Mill in Pickens, SC for Cortni's session and spent some time taking advantage of this amazing location. Below, I've included some of my favorite images from Cortni's senior portrait session. A few years ago, I ordered some colored smoke bombs to use for a styled angel shoot. I used the white and red ones, and stuck the rest in my "prop closet." When I was planning Cortni's shoot, I dug through the closet and happened upon the remaining purple, blue, and teal smoke bombs. I had no clue if they would even still work after so many years, but brought them along just in case. I'm so glad I did because they definitely worked and they were a fun way to wrap up Cortni's senior session! Pickens High School Presents "The Lion, the Witch, and the Wardrobe"
I had the pleasure of seeing some really talented thespians at Pickens High School perform their rendition of The Lion, the Witch, and the Wardrobe this past Friday. I LOVE, LOVE, LOVE the theatre. Before I settled on an English degree, I was a drama major in college and performed in many college and small town productions. I adore being transported to other worlds and escaping reality for a few short hours - and I am always blown away at how much talent young people today have, and the students of Pickens High School were no exception! I hope you enjoy several of my favorites from the evening - all cast, crew, and families can grab their free digital copies of these images at the bottom of this post! Cassidy Lewis (Mrs. Beaver), Izzy Wallace (Lucy), Zion Howell (Mr. Beaver), Claire Hudson (Susan), Thomas Hooper (Peter), and Isaac Farst (Edmund). The hardest part about doing a production like this is figuring out what to do with yourself when it's all over. The amount of hours, sweat, and tears that are poured into these productions is unreal. It changes you forever. I'm so thankful that Pickens High School has a wonderful arts programs. Arts are so important to education. I wouldn't want to imagine a world without art in it. Period. Cast, crew, and families, to grab your free copies of the images from the production, click here to go to the gallery. From the gallery, you can download the images to any smart device or computer. If you, or someone you know, is looking for a senior portrait photographer in the Pickens, SC area, give me a call! I had such a great time with Sara and her mom, Becky, this past weekend. It's always fun for me to shoot in a new location and shooting at the South Carolina Botanical Gardens was no exception! Sara is a hilariously sarcastic and super talented young lady. After spending the weekend at the All State Chorus Clinic, she still managed to have enough energy to hike all over this gorgeous garden located in downtown Clemson. We questioned whether or not it was a little bit wrong to shoot this soon-to-be USC freshman's senior portraits on Clemson's territory....but, hey...... she rocked it. If you, or someone you know, is looking for a senior portrait photographer in Oconee or Pickens counties, I would love to chat with you! When I first began to think I might be interested in trying dance photography, Madison graciously allowed me to take some photographs of her to see if it was indeed something I was interested in learning more about. Since that initial session, I've fallen in love with dance photography and learned a great deal. I was blessed to have the opportunity to work with her again and apply all the knowledge I've gained over the past two years. Madison dances at Coastal Dance Center in Market Common, so it was only fitting that we began our shoot in Market Common. One of my favorite spots at Market Common is the columns at Valor Park. The columns create great depth, and the light hits them perfectly in the evening. After Market Common, we headed over to Myrtle Beach State Park to grab some dance shots on the sand. I wanted to try some pointe shots on the beach as well, but sand is not exactly the most stable surface to dance en pointe. I devised a plan......and for less that $5, we were able to rig it where Madison could dance en pointe on the sand! Hooray!